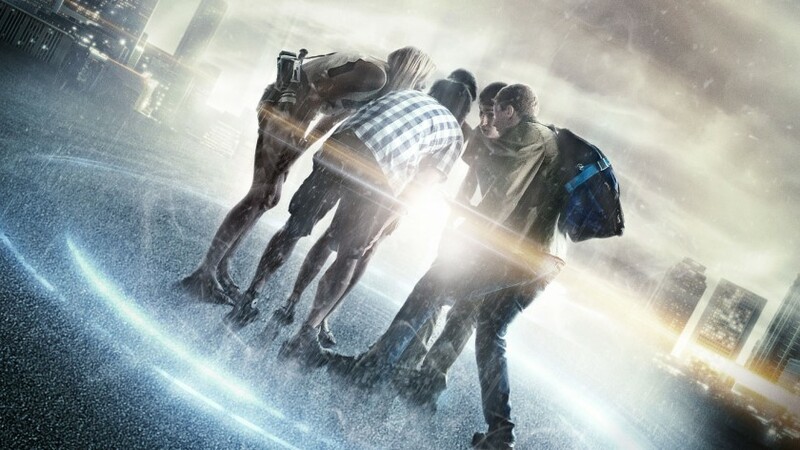 Executive produced by Michael Bay, Project Almanac takes the Chronicle route of showing a bunch of teens come across power beyond their control via found footage. There are two main differences between this and the actually-really-good Chronicle; one, these ‘teenagers’ actually look like teenagers, and two, the found footage actually plays a pivotal role in the film’s denouement. Here, instead of catch-all superpowers, our intrepid quartet discover the blueprints to a time machine in MIT-hopeful David’s dad’s basement after bafflingly seeing his present-day self in the old video of his seventh birthday party. May the record also state that this reviewer took the time to avoid making a super-boring joke about Michael Bay and explosions. While Almanac’s characters aren’t as engaging as that other teens-with-powers effort, and its story is altogether harder to follow (another unfortunate side effect to time travel on top of, y’know, irrevocably damaging the timestream), it still delivers on basic entertainment value. Ultimately it plays like a PG version of The Butterfly Effect, another terrifically underrated film about the consequences of chronal-meddling. Almanac’s biggest drawback is that it spends far too long on the portion wherein our crazy kids have all kinds of wish-fulfilment fun in the timestream, winning the lottery and managing to go to Lollapalooza with VIP tix acquired in the present day for a steal on eBay. There’s also a crazy-long set-up involving the creation of said time machine which is entirely excusable as the long-winded process and trial-and-error nature of the experiment sells the believability of the entire enterprise. It also helps that boffin David (Jonny Weston) and pal Adam (Allen Evangelista) are smart enough kids who are merely following instructions unknowingly bequeathed to them from much smarter adults. The kids never feel smarter than they should be in the context of the film, making dumb, selfish, hormonal decisions that essentially make them feel like actual teenagers. All the main players are strong, likable characters, and main smart kid Jonny Weston has nowhere to go but up from here – especially when it’s realised which supporting role he played in The Divergent Series: Insurgent; the guy can go from badass supporting anti-hero to affable, naive lead seemingly very easy. He has good range, and standard, boyish all-American looks to boot. It’s a shame that the set-up and the fun second act take up so much of the extensive 106 minutes of screen time, because all the problems created from the abuse of time travel (when they finally occur) actually happen very swiftly, one after the other, boom boom boom. It’s a shame to waste all the dread built up in the first half, as audiences are sitting there waiting for it all to inevitably implode spectacularly – the final implosion turns out to be more of a whimper than a bang. That said, the ending is a good little head-scratcher, and if you came to the same ambiguous conclusion that I did, it’s very possible you’ll really like it (and the entire film as a result). Obviously there have been tweaks to the stories here and there, as shown in the alternate opening, ending and deleted scenes. It’s a shame there was no commentary to go with these to explain them, and the decisions behind their exorcism, as it would have been interesting to learn more about the process and what these scenes were originally intended to add to the proceedings. You’ll definitely watch them thinking the actual opening and finale in the finished film are the stronger choices, but when it comes to the deleted scenes it’s definitely a shame that a sub-plot regarding a minor love story between two of the supporting characters was trimmed down (albeit still present in the film). The most intriguing deleted scene is definitely the one in which a different supporting character (Sam Lerner’s Quinn) confronts the wayward hero in the beginning of the third act instead of Evangelista – the differing use of character offers the scene an entirely new dimension. Would’ve been nice to hear from the creators on why they went one way, and not the other. All in all, compelling morsels, but they don’t satisfy. Project Almanac is out on Blu-ray, DVD and digital HD on 15th June.